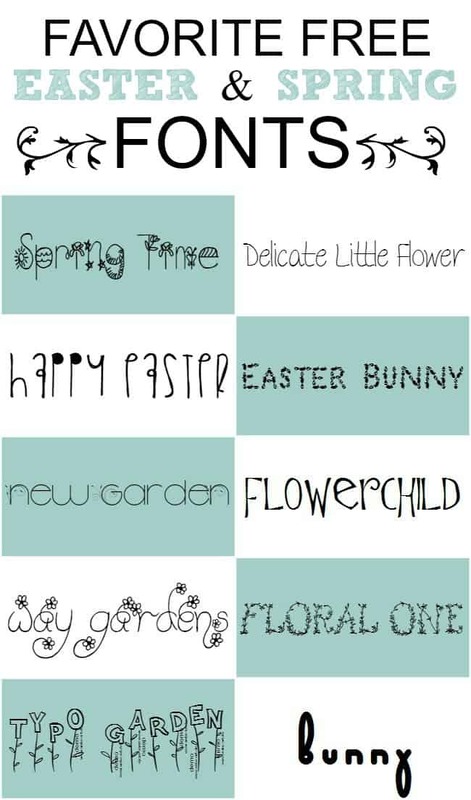 I shared with you my favorite St. Patrick’s Day fonts a couple weeks ago so I figured I would gather up my favorite free Easter and Spring fonts as well. Especially since Friday is officially the first day of Spring. Don’t you see me over here doing the happy dance? I am so so ready for some Spring weather. The allergies can stay away though. If you are font crazy like myself then you might also want to check out all the font I have posted. On to the fun Easter and Spring ones.